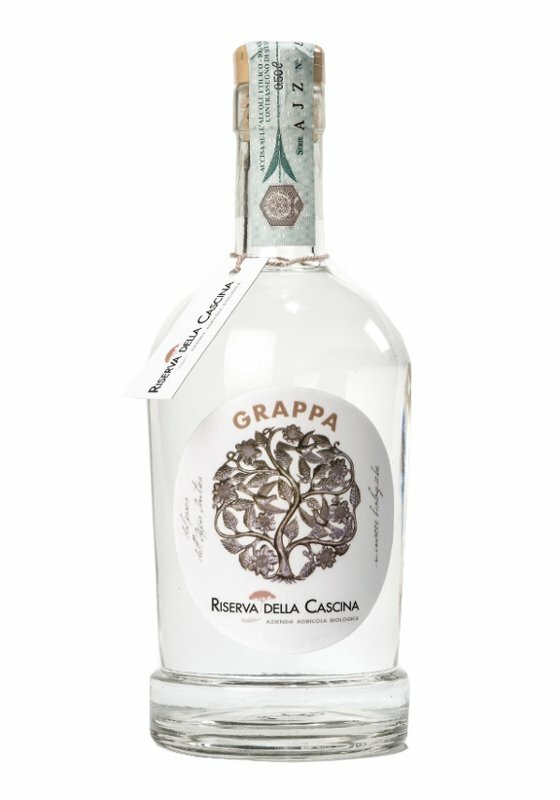 Directly from the skins of our single vineyard Merlot, the Grappa of Riserva della Cascina is smooth and fragrant. At the end of alcoholic fermentation, the skins are separated from wine and, still full of all its flavours, they are	finely distilled by a master distiller from our region. The result is a high quality product which completes every	happening with finesse and elegance, always remaining an expression of our philosophy and territory. Dedicated to Giovanni Brannetti, our founder and estimator of spirits. Provenience: distillation of red skins from carbonic maceration in red vinification. Aging: 6 months in bottle. Taste: dry, warm, smooth and elegant.